Hi! 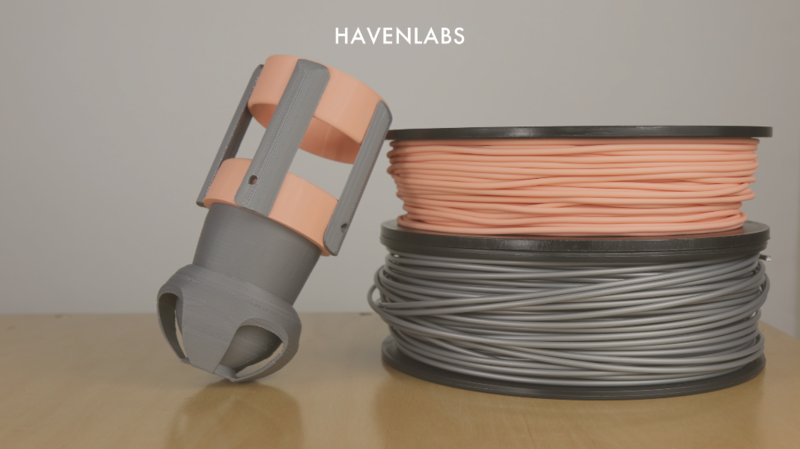 My name is River Castelonia and I am the Founder and Executive Director of Havenlabs, a non-profit being assembled by engineers, programmers, and thinkers. Our purpose is to design custom 3D printed prosthetics for our American Veterans. 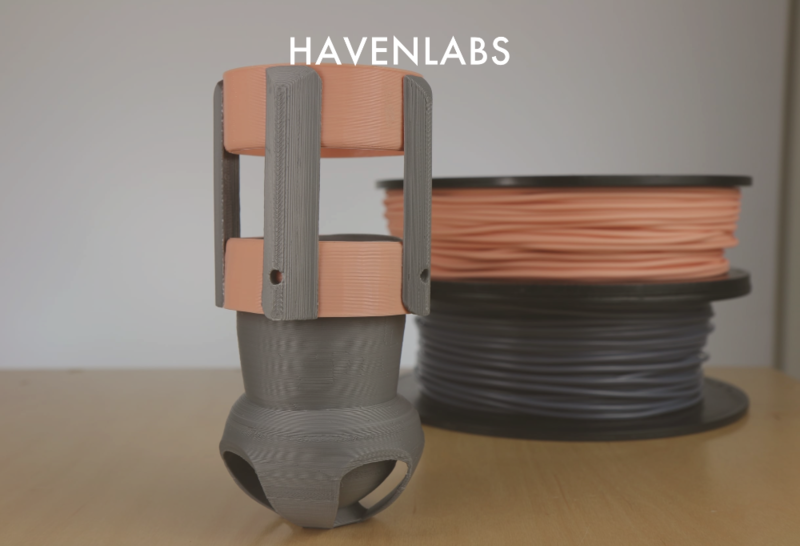 We hope to be role models for others in the community and to push the bounds on 3D printing applications.I started Havenlabs with Co-founders Brian Sopok and Ronald Mogg. Our mission is to create a better future for those who sacrificed so much for both our freedom and our country. Over the past summer I was able to save up enough money to purchase a 3D printer for this endeavor and focused day and night on our design. It took a total of four months and countless hours to finish our most updated model while we continue to improve upon our work daily. What you see above is our Utility Gauntlet, this is a prosthetic designed for upper limb amputee's which will have various attachments that can be inserted and removed at the convience of the amputee. It can be easily slipped on or off due to the 3D printed elastic bands, which secure the device to the amputee. 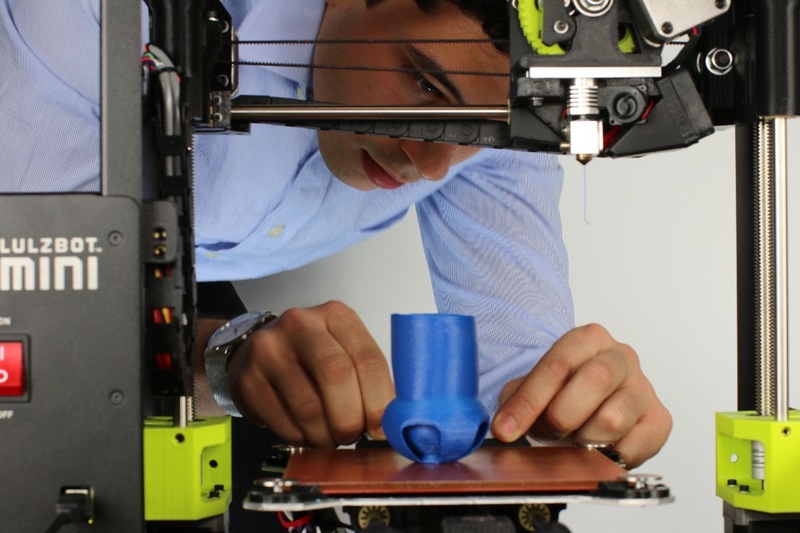 By using 3D printing technology, this prosthetic only costs $10 make! In comparison to the thousands of dollars that medical companies charge, we will make this a lot more accessible to each person in need. Some of the Utility Gauntlet's feautures will allow the amputee to write, eat, and even drive. 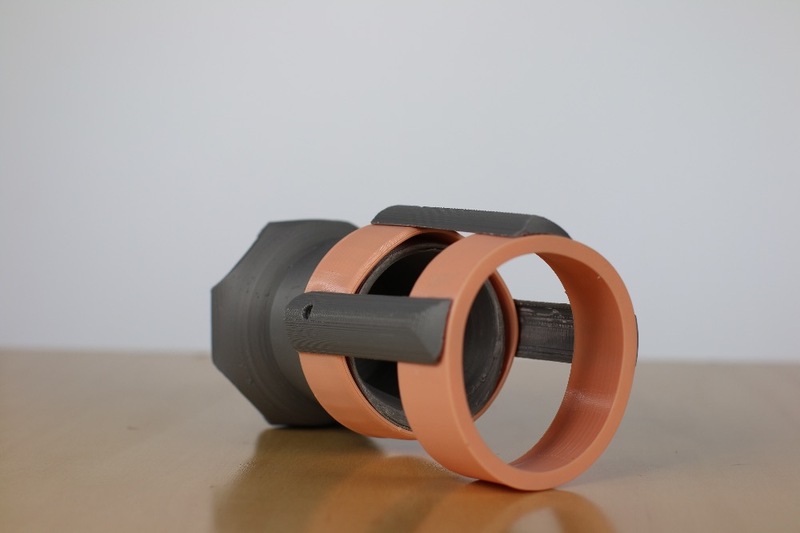 This will be open-sourced which means that anyone can access this via our website and have the ability to print the prosthetic from their living room. 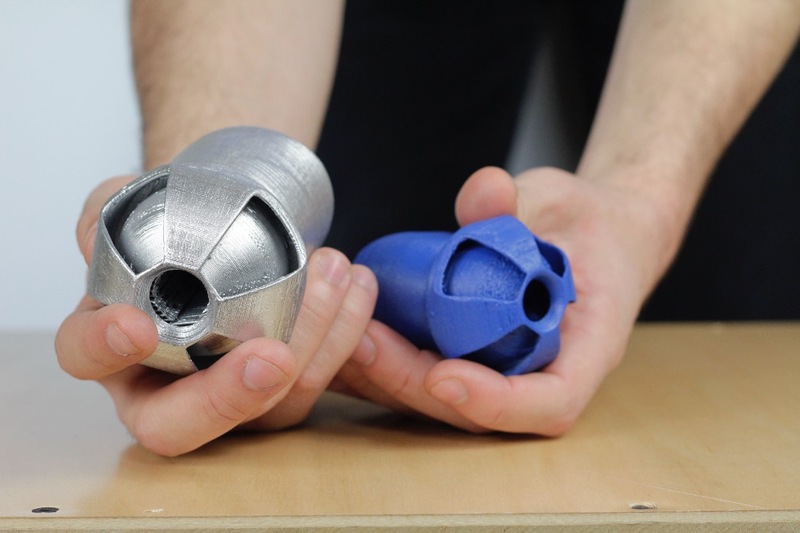 This will allow designers and engineers around the globe to add to the ever growing library of utilities for the prosthetic and improve upon its design. With the use of 3D scanning technology, we will be able to create an exact fit that is countoured to the shape of the amputee's limb, therefore offering a true extension of the individual. Using this innovative process takes mere minutes, where traditional prosthetic molds take hours. The scanning equiptment costs approximately $1500, which can be seen here. We are looking to get new equipment that will produce better quality prosthetics for each individual in need. To purchase one of these machines will cost approximately $3500, which can be viewed here . This is currently one of the most advanced 3D printers on the market and would be a dramatic help for our cause by producing the results our veterans deserve. 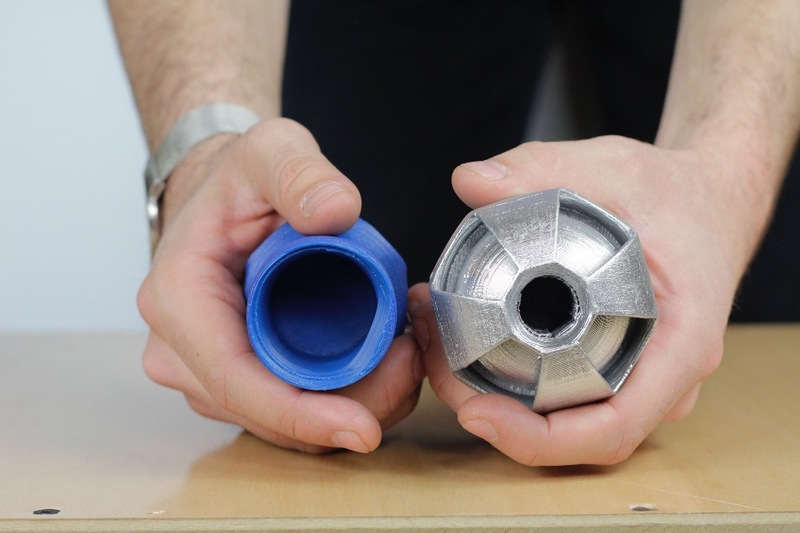 We also need to purchase the necessary material to get us started with our current prototypes. In addition, we would like to attend events to promote our work and get a chance to show the world what we are working on. This includes the 3D Printing Conference & Expo in April, as well as, our TEDx Talk in March. This funding would also allow us to have a permanent space for our lab. We will bring amputee's in to give these amazing individuals the best experience possible. Once we have a finalized prototype, we hope to partner with a veterans hospital. We are looking to move into developing limbs for lower limb amputee's, because this makes up a majority of veteran amputee's in our U.S. military. We have done everything so far to keep this deam of ours alive, now we are asking those to help support our vision and help to give back to those who have sacrificed so much. Your support is essential and we appreciate your kind words in our journey thus far. It is an honor to start this organization and work alongside those who we owe our freedom to. Please take a look at our website! Like and share our page on Facebook! We encourage you to join us as a member on our LinkedIn group as well. 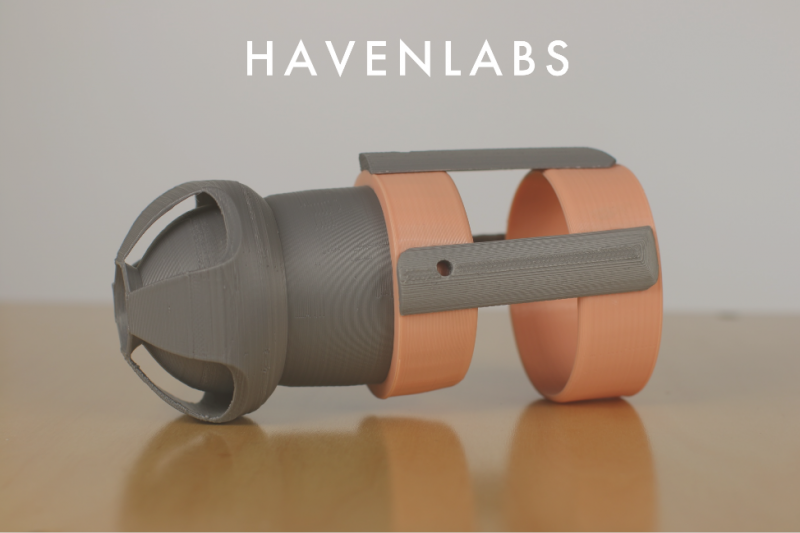 It has been a very busy last few weeks for the Havenlabs team and we are making a lot of great progress. We have our new SLA printer which will be able to create much more detailed prosthetics and we will be having a meeting next month with the Director of the Veterans Mental Health Coalition (VMHC) here in NYC. This will allow us to get more exposure with the veteran community in some of the VA hospitals here in New York. We have raised over $3,000 and we are so grateful for everyone's generosity! The next piece of equipment we need is our 3D scanner and we will be able to start working with amputee's to give us feedback on how to better improve Utility Gauntlet. We only need approximately $400 more in order to acquire our 3D scanner. Also, Co-founder Brian Sopok and I will be interviewed by ABC News 10 in a few short weeks as way to help spread the word on our work within the community and bring awareness of our mission! As always, you guys are phenomenal and we so sincerely appreciate all of your support. Please feel free to share our TEDx Talk with your family and friends on our mission to create versatile open-source prosthetics for our veteran amputees. We have been lucky to be featured in some of the most popular 3D printing websites and one of our articles was shared over 250 times! 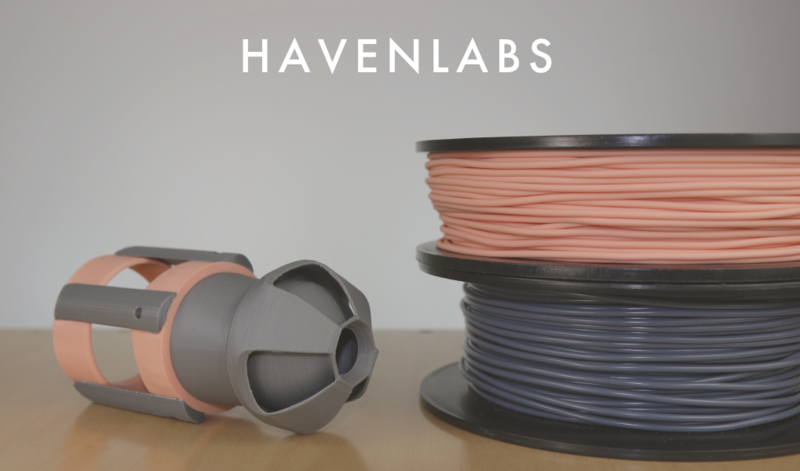 I was also asked to do a podcast interview with 3D masterminds to talk about the work going on at Havenlabs! We have an interview for some new lab space in downtown manhattan, which is a scholarship provided through Google! I am also getting ready and prepped for the TEDx Talk happening in March. We are very exciting for what is happening and are working really hard to make this as great as it can be. A lot of really great things going on and we are working on some new features for Utility Gauntlet as well! Thank you so much for everyone's support, you guys are amazing! Please continue to spread the word and support! It have been a great few days of our campaign! I just wanted to give an update of what is going on. Within just 5 days and 9 donors we have raised $1,875. 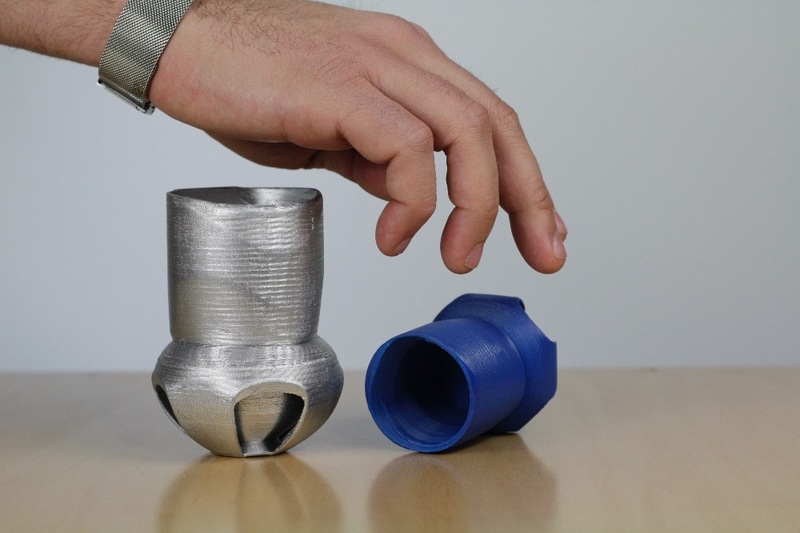 This is already enough to buy us our 3D scanner! Thank You! Also, we will be featured on WKNEW 107.1, which is a radio program that puts a focus on supporting military veterans! Each week they receive between 200,000 to 400,000 live listeners! A very big thank you to them for the opportunity. Thank you guys so much for you support...your incredible and this would not be possible with you. PS our new website is almost done! Check back with us in a few weeks! And continue to like, share, and spread the word! I believe in the groups like yours using additive to make lives better through specialized care. Best wishes. Be part of history. Support these innovators who will help change the world for the better. River, I'm so proud of your work, words can't say. I will follow and help in any way I can. Don't hesitate to contact me if I can be of assistance in any way. Great job kiddo. River, I'm so proud of your work how far you've come since the good old days at SJS. As an army wife, I can't thank you guys enough for pouring your heart and soul into a project to help American veterans.